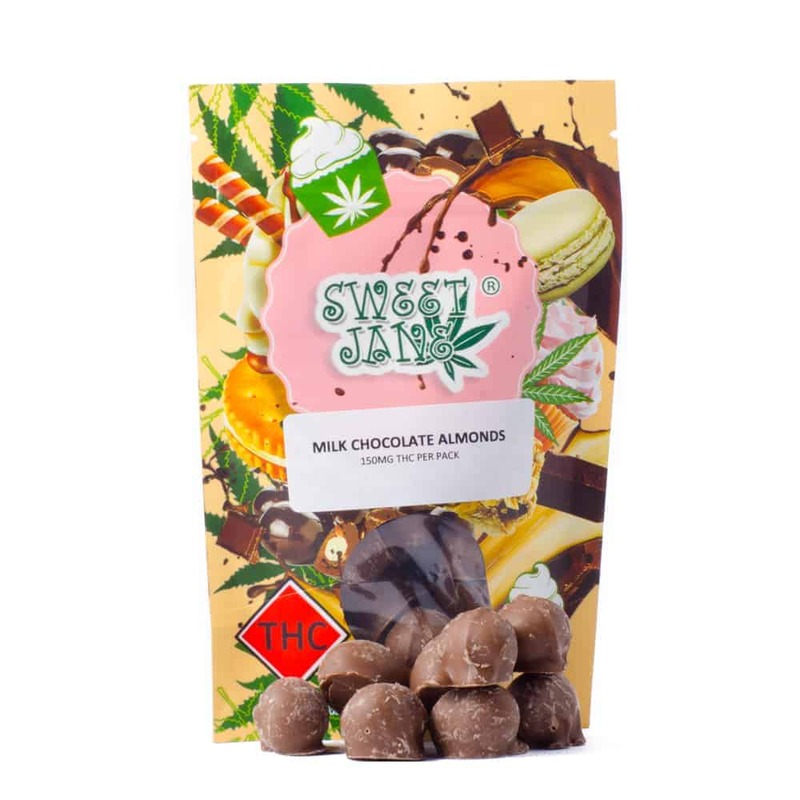 Cannabis Milk Chocolate Almonds: Chocolate almonds dipped in smooth milk chocolate 150 mg of THC and CBD. THC keeps you well medicated while CBD keeps you nice and calm, Perfect for an on-the-go snack or perfect for mixing into trail mix. Make sure you remember to mark the medicated and non-medicated trail mix before adventuring to far!